But that is not all. In between those short sentences are those exhilarating, nerve-wracking adventures to be told! 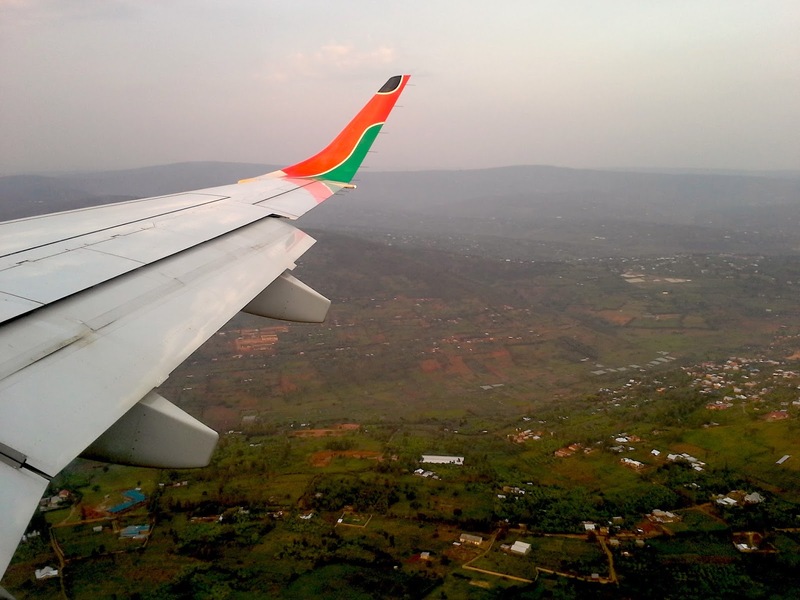 Here’s the story of how I landed up in Rwanda by myself for the first time in January 2015. I was 21. I had just spent seven weeks in Harare, Zimbabwe on a mission outreach to slum communities and street children with an Australian team. It was my first time on the African continent. However, Zimbabwe was not the end of it. I also planned to head solo to Rwanda for twelve days and then to Kenya for three weeks before returning to Australia to commence my one-year intensive at Harvest Bible College. While there have been many countries on the African continent that I always wanted to go to, the one country that had drawn me specially is Rwanda. My curiosity and fervent desire to go to Rwanda began when I was sixteen. I was living in Melbourne at the time, having moved with my family from Kuala Lumpur the year before. Being an avid reader, I used to frequent the libraries on a weekly and sometimes daily basis! Australia was book heaven for me. It was during those final years of high-school that I discovered the treasure trove of biographies! I devoured many recent and historical autobiographies by influential and inspirational figures, particularly from the regions of conflict in Africa, Asia, the Middle East, and Eastern Europe. Some of the books that drew me were the ones about the Rwandan genocide; the child-soldiers of war-ravaged regions in places like Uganda, Sierra Leone, Liberia, and Sudan; the Cambodian killing fields; the Bosnian genocide; the plight of women and persecuted minorities in Afghanistan, and many such harrowing realities in various parts of the third-world. Many of the stories were about amazing individuals who clung to faith and hope, doing their part to uphold justice and truth in places of deep oppression and spiritual darkness. When I graduated from the Victorian College of the Arts School in 2011, I wanted to support a teenage girl through Compassion International. I was teaching piano from home at the time and had a few students going, so I had pocket-money to share! I prayed about it and decided to sponsor a girl named Ntawangaheza in the remote hills of Nyakizu, Rwanda. No surprise there. I knew I was going to be connected to this country in one way or another. And so it began there. Well, God is faithful beyond our wildest prayers. And through this story, you will see that He gets all the glory. Three years after I prayed that prayer, I got the chance to go to Zimbabwe through a mission grant I won with Mission Travel Group. That was a miraculous provision in itself. But then I thought, hey, since I’m already in the continent, let me also go to Rwanda! Yay! Touch-down in the land of a thousand hills at dusk... Feeling all alone, but a sense of anticipation that God is going to do something in Rwanda and give me people of peace in a foreign land. I touched down on a misty evening at 6pm in Kigali, the small capital city of Rwanda on January 14, 2015. I was surprised by a strange feeling of absolute tranquillity. I breathed a prayer of thanks and immediately knew I’d like Rwanda. Lugging my backpack and ukulele, I headed for the place I’d be staying at for the next few nights – Discover Rwanda Youth Hostel, the first and only youth hostel in Kigali! A few months before, when I planned for this first Africa trip, I decided I’d explore Rwanda for twelve days and take one day to visit my Compassion child in the remote southern hills. Honestly, twelve days can be a long time to be on your own in a relatively quiet country like Rwanda, where nothing much happens – even in the city. I wondered if I made the right decision. Nevertheless, I only booked my first four nights at the youth hostel, and for the remaining seven nights, I simply thought: okay God – you’re leading me… we’ll see what happens and how plans change when I get on the ground! Mysteriously, I just had this unflinching conviction that something special would happen in Rwanda. There were many nights back in Melbourne when I lay in bed and said, “God, I know you know every person in Rwanda. Apart from the one-day Compassion visit, I have no plans, I don’t know anybody, I have no contacts, and I’ve written no emails to any organization. Please lead me to other local young people who know you and love you and are passionate about music and missions! I know they’re there, I just need you to take me to them.” That was the gist of my prayers for the few months before I left for Africa. Somehow, I felt this burning faith well up in me every time I prayed about Rwanda. I began to learn that faith is not just something you muster up; it is a gift of God. At times, there are some things that God specially gives you the faith and the grace for, because He wants you to go for it – it’s part of His plan for you! So with this, there was a sense of exhilaration in my bones – I just knew that God would lead me to the exact people I needed to meet. And I wouldn’t have to worry about contacting any organization or church and make my own arrangements. But here’s the tough thing: you have to simply accept by faith that you won’t get any answers or confirmations to such a crazy prayer until you actually get there. And that was how it was for me. In truth, it’s all about perspective and your confidence in the basis of your faith. I always knew that God never fails His kids, He is my confidence – that is why I’ve always maintained that my faith is not a crutch, it is a pillar. God has never left me stranded in the dark. He has always sent me people, even perfect strangers to lead me out of an uncertain or tough situation! So every time I head somewhere new, I go with this conviction: “I’ve planned and prayed everything I possibly can, now God, do what you want with me and let the unplanned unfold!” It’s always good for the soul to embark on a new journey with a penchant and even anticipation for the unexpected, no? 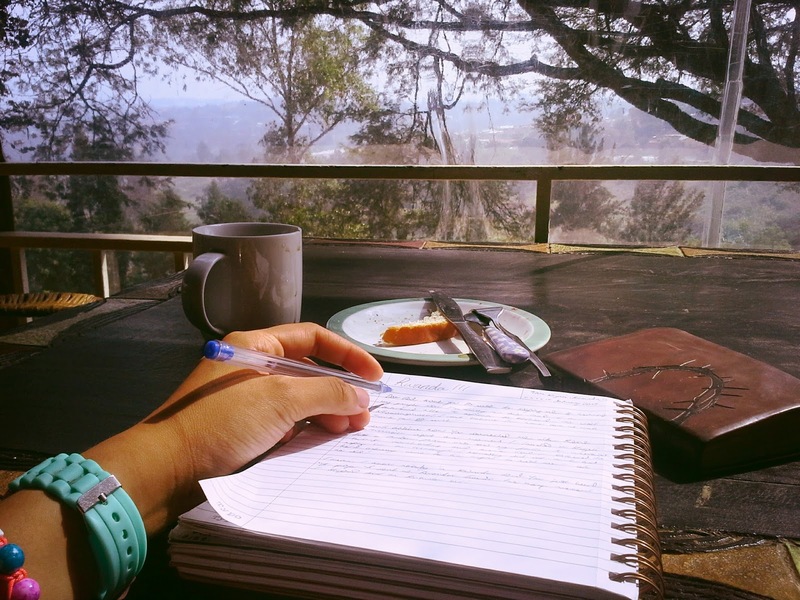 On my first morning in Kigali – after a pleasant breakfast journaling, reading my Bible while overlooking the hilly landscape of Rwanda’s capital, I decided to take a moto taxi to town for my first day of exploration. Waking up at the Discover Rwanda Youth hostel! To my relief, he smiled slightly and conceded that yes, he was indeed a Christian. I was glad I asked! We continued to converse and I learned his name: Prince Shabani. He asked my reason for coming to his country and I shared that I wanted to visit my Compassion child and to explore the country. I also told him I’d been in Zimbabwe before, and that I was a music teacher who wanted to use music for missions. 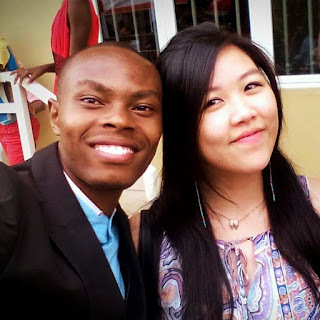 To my amazement, he immediately opened up from there and revealed that he had been sponsored as a Compassion child, and that is how he is now studying at university! What coincidence, you say? We also found out that we were both 21, and that Prince was also very much involved in the worship, drama and youth ministries at his church! It immediately came to my mind that this could be God’s answer to me in a foreign land. I silently asked God to show me if this was indeed a divine connection. My first person of peace in Rwanda: Prince Shabani! I wondered about Prince’s last name, which indicated he was probably of a Muslim background… I soon found out that he was indeed born in a Muslim family. And praise God, I also got to hear his incredible life-transforming testimony about how Jesus revealed himself to him in a vision as the Son of God and the true source of salvation, and by God’s guidance, he and his entire family became followers of Jesus! Soon after, God’s provision for his struggling family came in the form of a Compassion sponsorship in his hometown, which has since gotten him far in his studies. It still amazes me to no end when I think of Prince’s story. The hope, faith and zeal he exudes for Jesus, and his passion to share this incredible grace and truth to others, is nothing short of extraordinary! I knew without a doubt that he is a young man called for great things, and that God had connected us for a marvellous plan – on my very first morning in Rwanda at that! Beautiful Rwanda - lush, green, and quiet. When Prince asked what my plans were for the week, I told him that apart from the Compassion visit to Nyakizu, I wanted to go to Gisenyi and see the famous Lake Kivu (a four-hour drive from Kigali to Congo’s Gisenyi-Goma border). Prince was soon beside himself with excitement because Gisenyi was, in fact, his hometown! I could hardly believe my ears. 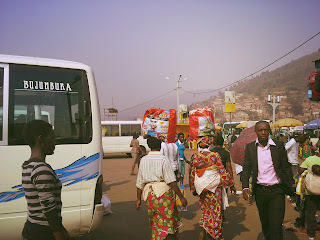 I had asked God to help me out on this one, because although I wanted to go to Lake Kivu, I had no idea which local buses to take or where to stay. (Rwanda has still a long way to go in development of touristy-type services, so even a Google search won’t come up with much helpful information unless you get it on the ground. And anyhow, I’ve always travelled solo backpacker style that I never wanted to pay for any private tours that cost thousands of dollars for a few days.) So yes, this was certainly another answered prayer! Meeting Prince's good friend Luc later on in my journey! To my pleasant surprise, Prince told me he had a close friend named Luc who was also from Gisenyi and was headed there by bus on the very day that I planned to go. Now I was beside myself with excitement. He made a phone call to Luc right there and then to introduce his new friend from Australia… wow, I couldn’t believe it. It was my first day in Rwanda and I had made friends! Of course, when people hear my story, they often can’t believe how ‘reckless’ or naïve I am. How do I just trust perfect strangers that I’ve just met? To be honest, I can’t explain myself. I am streetwise when I travel. And I pray every moment I get. Then there are moments like this when I know for sure in my spirit that it wasn’t mere coincidence. But one of the reasons that I can tell this is something I can trust God with, is that I have prayed specific prayers and I am getting specific answers or situations that present the answer. That’s one of the key ways I know that I’m not being foolish. Moreover, God also gives us discernment to sense in our spirit if this is a divine connection or not. That’s the only way I can explain it! The assuring thing is that God has got us covered. When we listen, pray, trust Him, and go in faith out of obedience, He doesn’t leave us as orphans in the dark! Now, my belief is that even in the event that I ‘mis-hear’ or make a mistake, as long as my motive is pure and genuine before God – He will always direct me back on the right track. That is what He has done time and time again. I have many more stories to tell that provides evidence of His marvellous and gracious hand! The eclectic Nyabugogo bus park in Kigali. So my trip to Gisenyi with Luc on a local bus turned out to a God-ordained journey. I would have been so confused if I had to make that first local trip on my own. 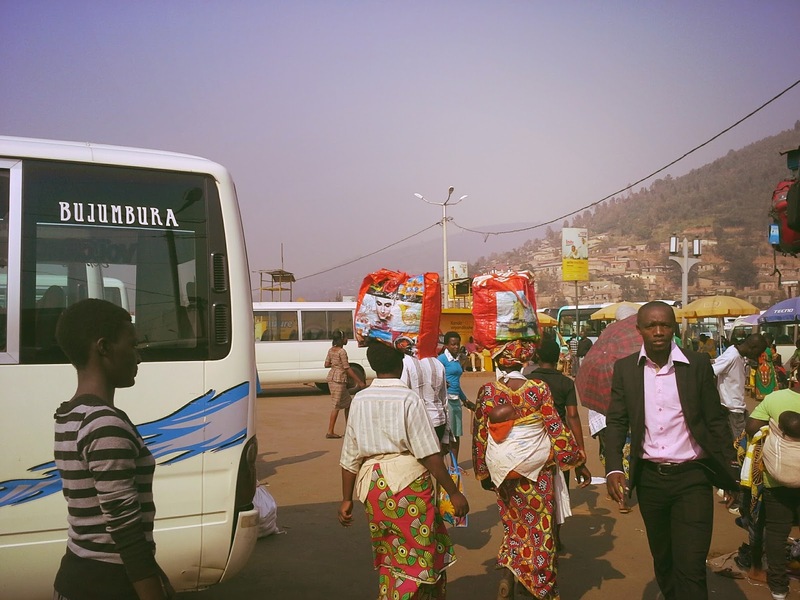 The Nyabugogo bus park in Kigali is a busy, sprawling place packed with buses, mini-vans and moto taxis that travel all over the country and even cross-border into Uganda, Tanzania and Burundi! It can also be difficult to communicate with local drivers or even local Rwandans because many of them speak little English unless they are educated at university. Not forgetting also that there are no such thing as fixed bus numbers, stops or street signs and names… You have no idea how many times I thanked God for sending his angels in the form of local friends to guide me. When I got to Gisenyi, I checked into a youth hostel by Lake Kivu and to my delight, Luc also invited me to spend one night with his family. To my amazement, his home was right beside the dividing border wall separating the Congolese city of Goma and the Rwandan city of Gisenyi. It was so cool! Luc was also terribly kind to make sure I was okay at the hostel – he and his sister checked up on me almost every day and showed me around! An exuberant bunch of young people I met in Gisenyi through Prince and Luc who were part of a drama and dance outreach team called Shekinah Drama Family! On one of the days, we went to the church he and Prince attended since their youth, Evangelical Restoration Church on the hills of Rubavu in Gisenyi. 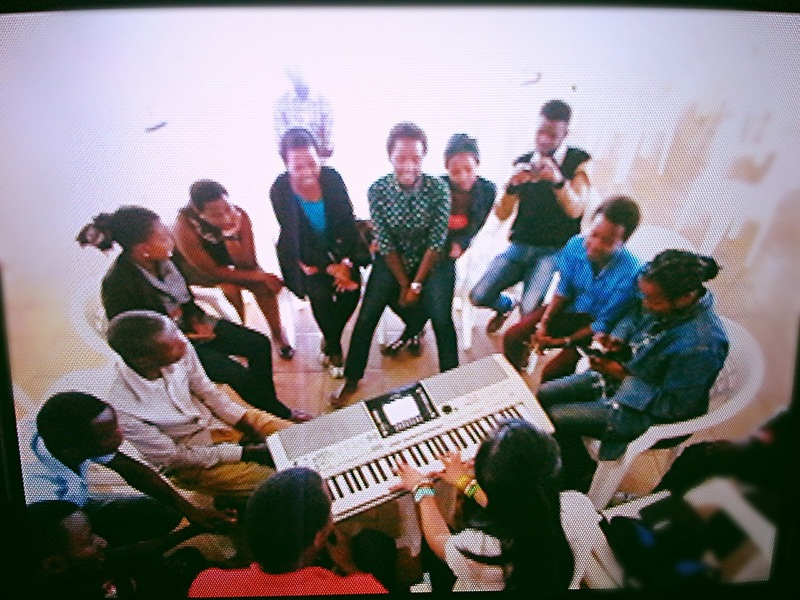 Luc kindly invited me to address the youth and participate in their drama group called Shekinah Drama Family. It was the most unexpectedly beautiful time as we worshipped and prayed together. To this day we remember those first days fondly! It was truly God’s open door and I never imagined I’d access Rwanda so quickly. Indeed, this is what ‘wayfaring by faith’ is about: following Jesus where he leads, crossing cultures, making music in unusual and tough places, and embracing local heroes! Through these God-sent friends in a foreign land, I’ve met countless ‘local heroes’ – people of incredible faith, resilience and a genuine desire to serve. I have been humbled and blessed by their love and their families. So, this first divine appointment with a person of peace was not a fleeting one. It has led me back to Rwanda for the second time in the same year, seven months later – on October 26, 2015! There will be another time to tell the stories of what happened on my second trip, of how God led me back there through a series of confirmations and what happened while I was there – which far surpassed my wildest imaginations. Since that first momentous day, God has led me to many other young people through Prince Shabani. He was and still is my first ‘person of peace’ in the beautiful land of a thousand hills. God has never disappointed us.